Two decades ago, while her YBA predecessors were garnering international attention for blaring, acerbic one-liners, Ceal Floyer emerged in Britain as a beacon of restraint, creating such quotidian epigrams as 'Light', 1994, a dangling, unplugged bulb lit by four surrounding slide projectors. Floyer’s minimal gestures require sustained consideration, making her practice perfectly suited for a showing such as this – a spare but rewarding survey of thirteen pieces made between 1993 and 2015. 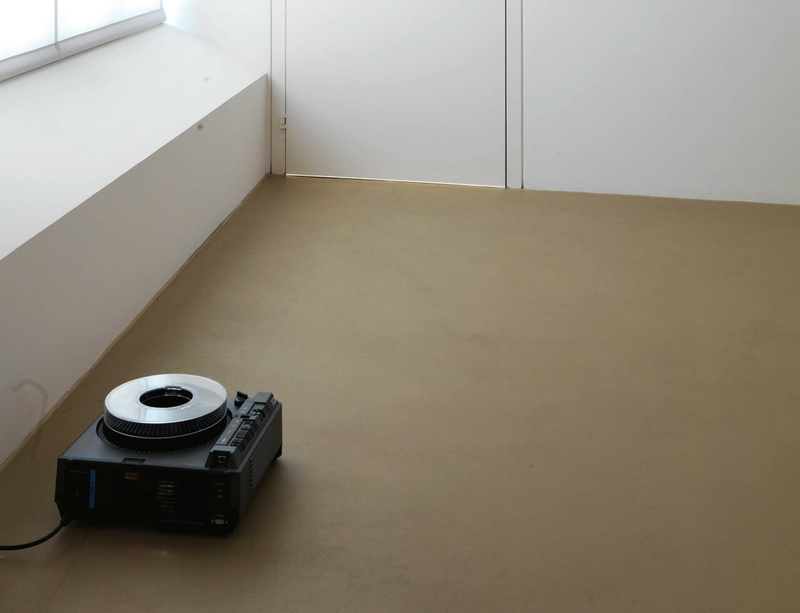 Take in the early work 'Door', 1995, in which a slide projector has been configured to mysteriously illuminate a strip of light beneath a closed door, or 'Solo', 2006, a mic stand supporting a would-be star’s hairbrush. Or pause to digest the artist’s latest iteration of 'Bars', 2015, for which she has fitted the museum’s street-level picture window with bespoke black steel bars. Floyer’s closed-circuit construction outs itself, plangently, as a brittle, carefully maintained surface, half covering and half concealing. Existential anxiety? We don’t talk about that.